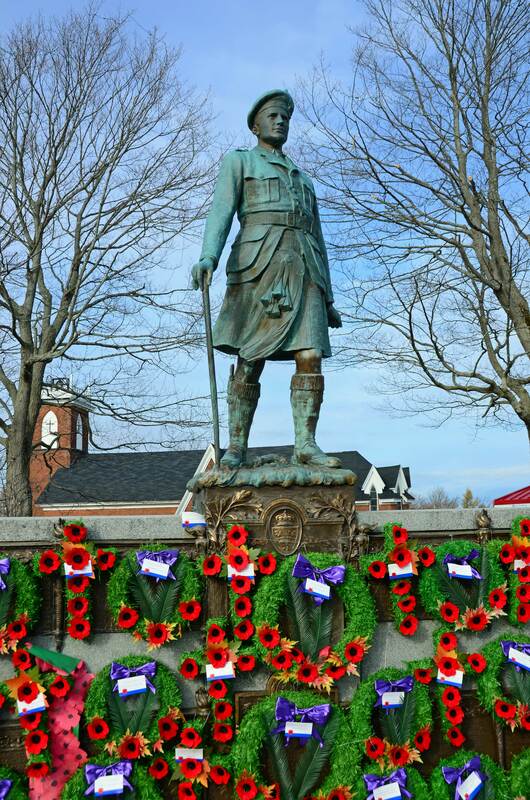 Cumberland County Soldiers Memorial, Amherst, N.S. What a sad and tumultuous past week it’s been for Canada. South of our shared border our hearts go out in sorrow and sympathy to the country and the families of slain Canadian Forces members Corporal Nathan Cirillo and Warrant Officer Patrice Vincent. May they rest in peace. Respects and admiration from England. Beautiful photograph. I love how the reds jump out. Incredibly well done. My sympathy goes out to our friends and neighbors in the great nation of Canada. Interesting blog and great photographs. Thanks for your visit to mine! Fitting photograph. These are who we must remember. I also paid tribute this week in the cover story photo challenge. It saddens me to think of the events that took place this past week. Thank goodness some quick thinking and bravery stopped the events before it got even worse. Beautiful photo, Brett. And very appropriate. Thank you for your kind words and thoughts. At times like this, there are no borders, only people sharing grief and hope. A sad day for Canada. Very fitting. Thank you, Brett. I used to live in Canada about 25yrs. ago and the one thing that impressed me is how proud Canadians are when it comes to their own people. The country has been in my thoughts the last few days. Beautiful photo. Such a sad week for Canada. Thanks for visiting my blog..
Canada, especially Montreal and Ottawa, has been on my mind all week. It’s nice to see this fitting tribute.